Kat Cassedy is a qualitative analyst with 20 years of work in hard problem solving, alternative analysis, and red teaming. She currently works as an independent consultant/contractor, with experience in the public, private, and academic sectors. She can be found on Twitter @Katnip95352013, tweeting on modern #politicalwarfare, #proxywarfare, #NatSec issues, #grayzoneconflict, and a smattering of random nonsense. Divergent Options’ content does not contain information of any official nature nor does the content represent the official position of any government, any organization, or any group. National Security Situation: The cultural gap between the U.S. Department of Defense and Silicon Valley is significant. Bridging this gap likely requires more than military members learning tech speak as their primary duties allow. Date Originally Written: April 15, 2019. Date Originally Published: April 15, 2019. Author and / or Article Point of View: The author’s point of view is that the cyber-sector may be more akin to a foreign culture than a business segment, and that bridging the growing gulf between the Pentagon and Silicon Valley may require sociocultural capabilities as much or more so than technical or acquisition skills. Background: As the end of the third decade of the digital revolution nears an end, and close to a year after the U.S. Cyber Command was elevated to a Unified Combatant Command, the gap between the private sector’s most advanced technology talents, intellectual property (IP), services, and products and that of the DoD is strained and increasing. Although the Pentagon needs and wants Silicon Valley’s IP and capabilities, the technorati are rejecting DoD’s overtures in favor of enormous new markets such as those available in China. In the Information Age, DoD assesses that it needs Silicon Valley’s technology much the way it needed the Middle East’s fossil fuels over the last half century, to maintain U.S. global battlespace dominance. And Silicon Valley’s techno giants, with their respective market caps rivaling or exceeding the Gross Domestic Product of the globe’s most thriving economies, have global agency and autonomy such that they should arguably be viewed as geo-political power players, not simply businesses. In that context, perhaps it is time to consider 21st century alternatives to the DoD way of thinking of Silicon Valley and its subcomponents as conventional Defense Industrial Base vendors to be managed like routine government contractors. 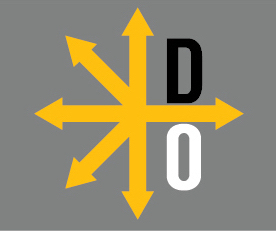 Signiﬁcance: Many leaders and action officers in the DoD community are concerned that Silicon Valley’s emphasis on revenue share and shareholder value is leading it to prioritize relationships with America’s near-peer competitors – mostly particularly but not limited to China – over working with the U.S. DoD and national security community. “In the policy world, 30 years of experience usually makes you powerful. In the technical world, 30 years of experience usually makes you obsolete.” Given the DoD’s extreme reliance on and investment in highly networked and interdependent information systems to dominate the modern global operating environment, the possibility that U.S. companies are choosing foreign adversaries as clients and partners over the U.S. government is highly concerning. If this technology shifts away from U.S. national security concerns continues, 1) U.S. companies may soon be providing adversaries with advanced capabilities that run counter to U.S. national interests; and 2) even where these companies continue to provide products and services to the U.S., there is an increased concern about counter-intelligence vulnerabilities in U.S. Government (USG) systems and platforms due to technology supply chain vulnerabilities; and 3) key U.S. tech startup and emerging technology companies are accepting venture capital, seed, and private equity investment from investors who’s ultimate beneficial owners trace back to foreign sovereign and private wealth sources that are of concern to the national security community. Risk: DoD treating multinational corporations like nation states risks further decreasing or eroding the recognition of nation states as bearing ultimate authority. Additionally, there is risk that the checks and balances specifically within the U.S. between the public and private sectors will tip irrevocably towards the tech sector and set the sector up as a rival for the USG in foreign and domestic relationships. Lastly, success in this approach may lead to other business sectors/industries pushing to be treated on par. Gain: Having DoD establish a CFAO program would serve to put DoD-centric cyber/techno skills in a socio-cultural context, to aid in Silicon Valley sense-making, narrative development/dissemination, and to establish mutual trusted agency. In effect, CFAOs would act as translators and relationship builders between Silicon Valley and DoD, with the interests of all the branches of service fully represented. Given the routine real world and fictional depictions of Silicon Valley and DoD being from figurative different worlds, using a FAO construct to break through this recognized barrier may be a case of USG policy retroactively catching up with present reality. Further, considering the national security threats that loom from the DoD losing its technological superiority, perhaps the potential gains of this option outweigh its risks. Option #2: Maintain the status quo, where DoD alternates between first treating Silicon Valley as a necessary but sometimes errant supplier, and second seeking to emulate Silicon Valley’s successes and culture within existing DoD constructs. Risk: Possibly the greatest risk in continuing the path of the current DoD approach to the tech world is the loss of the advantage of technical superiority through speed of innovation, due to mutual lack of understanding of priorities, mission drivers, objectives, and organizational design. Although a number of DoD acquisition reform initiatives are gaining some traction, conventional thinking is that DoD must acquire technology and services through a lengthy competitive bid process, which once awarded, locks both the DoD and the winner into a multi-year relationship. In Silicon Valley, speed-to-market is valued, and concepts pitched one month may be expected to be deployable within a few quarters, before the technology evolves yet again. Continual experimentation, improvisation, adaptation, and innovation are at the heart of Silicon Valley. DoD wants advanced technology, but they want it scalable, repeatable, controllable, and inexpensive. These are not compatible cultural outlooks. Gain: Continuing the current course of action has the advantage of familiarity, where the rules and pathways are well-understood by DoD and where risk can be managed. Although arguably slow to evolve, DoD acquisition mechanisms are on solid legal ground regarding use of taxpayer dollars, and program managers and decision makers alike are quite comfortable in navigating the use of conventional DoD acquisition tools. This approach represents good fiscal stewardship of DoD budgets. Malcomson, S. Why Silicon Valley Shouldn’t Work With the Pentagon. New York Times. 19APR2018. Retrieved 15APR2019, from https://www.nytimes.com/2018/04/19/opinion/silicon-valley-military-contract.html. Hsu, J. Pentagon Warns Silicon Valley About Aiding Chinese Military. IEEE Spectrum. 28MAR2019. Retrieved 15APR2019, from https://spectrum.ieee.org/tech-talk/aerospace/military/pentagon-warns-silicon-valley-about-aiding-chinese-military. Zegart, A and Childs, K. The Growing Gulf Between Silicon Valley and Washington. The Atlantic. 13DEC2018. Retrieved 15APR2019, from https://www.theatlantic.com/ideas/archive/2018/12/growing-gulf-between-silicon-valley-and-washington/577963/. Copestake, J. Google China: Has search firm put Project Dragonfly on hold? BBC News. 18DEC2018. Retrieved 15APR2019, from https://www.bbc.com/news/technology-46604085. Mozur, P. The Week in Tech: Fears of the Supply Chain in China. New York Times. 12OCT2018. Retrieved 15APR2019, from https://www.nytimes.com/2018/10/12/technology/the-week-in-tech-fears-of-the-supply-chain-in-china.html. Northam, J. China Makes A Big Play In Silicon Valley. National Public Radio. 07OCT2018. Retrieved 15APR2019, from https://www.npr.org/2018/10/07/654339389/china-makes-a-big-play-in-silicon-valley. Department of Defense Directive 1315.17, “Military Department Foreign Area Officer (FAO) Programs,” April 28, 2005. Retrieved 15APR2019, from https://www.esd.whs.mil/Portals/54/Documents/DD/issuances/dodd/131517p.pdf.